Posted on October 1, 2018 at 3:18 pm. Division 9 Flooring and Maltby Food Bank are neighbors. We both reside in Maltby, part of the city of Woodinville. Division 9 Flooring respects the Maltby Food Bank and the work it does, so the neighborly thing to do would be to donate to Maltby Food Bank. 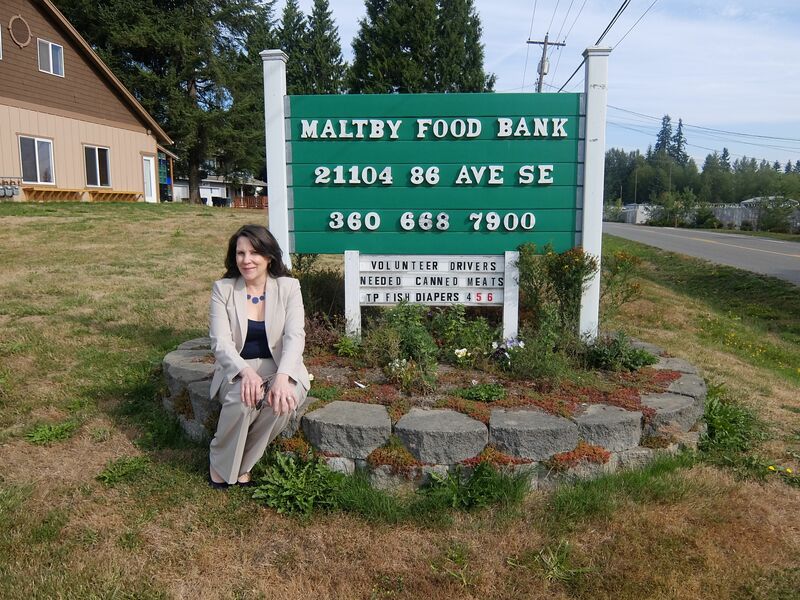 Division 9 has a long history of giving with Maltby Food Bank. The degree of giving changed significantly last year when Michelle Robbins came to work for Division 9. She stepped it up by volunteering at Maltby Food Bank once a week for the past year. She was recently asked to join the board. Robbins was at The Maltby Food Bank auction that took place in September. Krisitine Willson from Maltby Food Bank says she saw something interesting happen at this year’s auction. Something that’s never happened before. During the fund-a-need paddle raise, someone raised their paddle and announced that the last person to donate $100 would get the $100 bill they were holding up. It caught on and increased to $400. The fund-a-need portion of the auction raised over $21,000. Enough to enable Maltby Food Bank to continue to provide produce for the needy year-round, and to provide dairy to those in need weekly. According to Maltby Food Bank Director, Natalie Oswald, by the end of the night they had raised $55,000. Enough to continue to feed over 100 families or as many as 600 people per week. Oswald says the food bank does more than feed families. They started handing out coats last week. Closer to the holidays the food bank will throw a holiday party for the families with crafts to keep the kids busy while parents pick out gifts for their children. Some of the volunteers at the Maltby Food Bank have been volunteering there for over 20 years.